Social media has been around for over a decade. The term content marketing has been around for longer than that. Marketing itself has existed ever since there have been things to market. So why is it still such a sticky concept for so many organizations? Why does there seem to be so many misunderstandings about what content marketing is or how marketing is supposed to work? Over the last year, we’ve had the privilege to talk with a ton of talented and influential marketing professionals and get their perspective. While the term has been around for a long time, there’s still some confusion about what content marketing actually is. Is it different than marketing? Is it different from content? Is it one-dimensional? 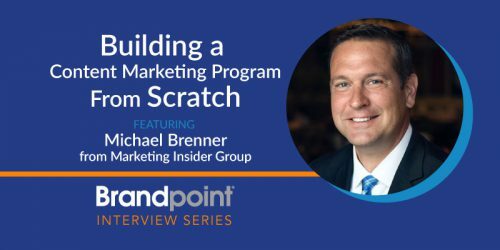 Marketing Insider Group CEO and speaker Michael Brenner distinguished it by borrowing an old PR concept: Owned media. “Content is not the same thing as content marketing. The difference is a brand-owned destination.” According to Brenner, things like social media aren’t content marketing because the brand doesn’t own those platforms. Others take issue with the term itself. 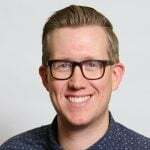 Dustin Robertson, CMO of Leadpages and Drip, feels it’s a little redundant. The takeaway: Your company’s definition of content marketing might be different from another’s. But you need to have at least one. You’re going to have a hard time identifying what content marketing success looks like unless everyone in your organization is on the same page. Robert Rose, chief strategy advisor at the Content Marketing Institute, agrees. He thinks the most dangerous misconception of content marketing is that people think it’s supposed to cheap and easy. The takeaway: Content strategy and content marketing take continuous effort over a long period of time. It’s usually well worth it in the long run, but it’s important to set those expectations as early as possible to avoid unnecessary friction while you plan. As Dwight Schrute from “The Office” would say: FALSE. Lisa Bergerson, marketing director for Equals 3, says the idea that “it’s just marketing doing it” is totally wrong. “Whether it’s a whitepaper or a blog,” Lisa says, “it’s a full business function that everybody needs to be involved with” if it’s really going to have an impact. Juntae DeLane, founder of the Digital Branding Institute and brand manager for the University of Southern California, thinks that branding is similar. The biggest challenge is getting everyone on board. He argues that, if brands don’t understand the underlying reasons why campaigns turn sour, they’re in danger of repeating the same mistakes. The takeaway: Marketing is a team sport. The most successful organizations understand that marketing is a business function and, while not everyone needs to be involved in creating content, all departments can do a great deal to support the marketing team, just as the marketing team can support all other areas of the business. One thing we’ve heard over and over again in our interview series is the idea that one thing is required or this tactic is always necessary. When we talk about marketing and content marketing, so often marketers are expected to create content because “that’s what marketing is.” But a lot of experts say that this is a harmful perception. Effective marketing, she adds, begins at a much more foundational level. He adds that, some tools MAY be in the continuum of solutions, but no one tactic is going to address everything you’re trying to solve. 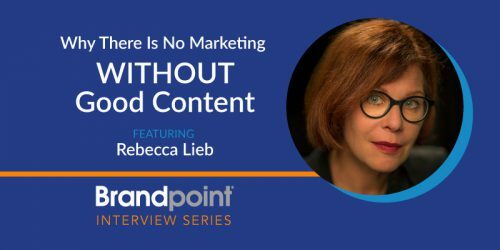 Kristina Halvorson, founder of Brain Traffic and author of Content Strategy for the Web, believes content marketing itself isn’t a requirement. The takeaway: This is much easier said than done. While there’s certainly benefit in trying something new, interpreting every best practice or tip and trick as a prescription for your success is a dangerous game to play. If it doesn’t provide value for your audience or your business, it’s not a requirement. That’s just not true. While there may be some misinformation about the impact content marketing can have, it’s a myth that its only purpose is to drive leads or boost brand awareness. 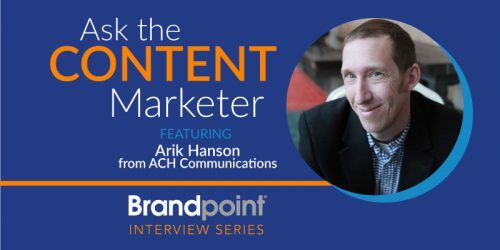 Arik Hanson, local Twin Cities solopreneur and elite social media/PR mind, says that there’s an overpressure for content marketing to produce leads. Arik also thinks content marketers are too afraid to talk about themselves or their company. Content marketing is about delivering value, but your brand’s story can absolutely be a part of that. The takeaway: Content marketing can do a lot of amazing things. But since it’s often difficult for everyone to agree on what exactly content marketing is, it’s hard to agree on what success looks like. It’s important to understand what content marketing can do for your business and set expectations appropriately. It’s fair to say there are a lot of opinions about why marketing is so difficult. But one thing that’s true across the board is that quality and focus almost always win. Allen Adamson, author and business consultant, says doing a little bit of everything is a recipe for disaster. What’s the biggest misconception YOU see in the world of marketing, and what can we learn from it?